Today I will discuss Last down cause: Optical module fault alarm. When you connect a non brand SFP or SFP not match with your OLT version then OLT display Optical module fault Alarm. 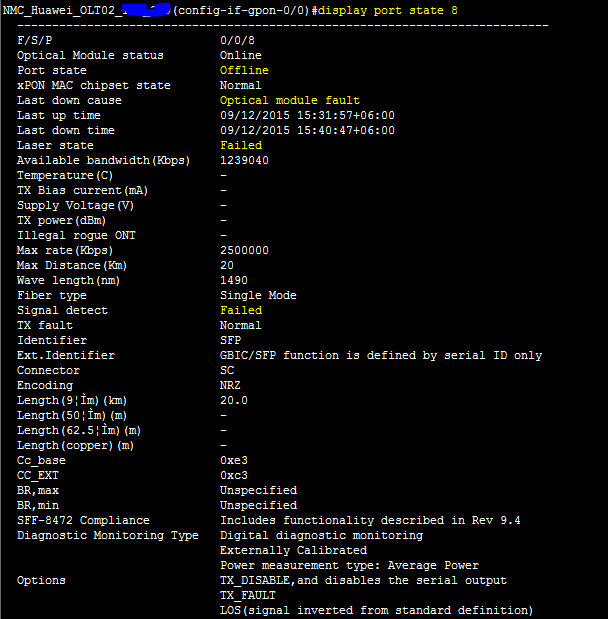 I face a problem, when i connect a new SFP in H805GPFD board then 0-7 port SFP is working but 8-15 port was not working. 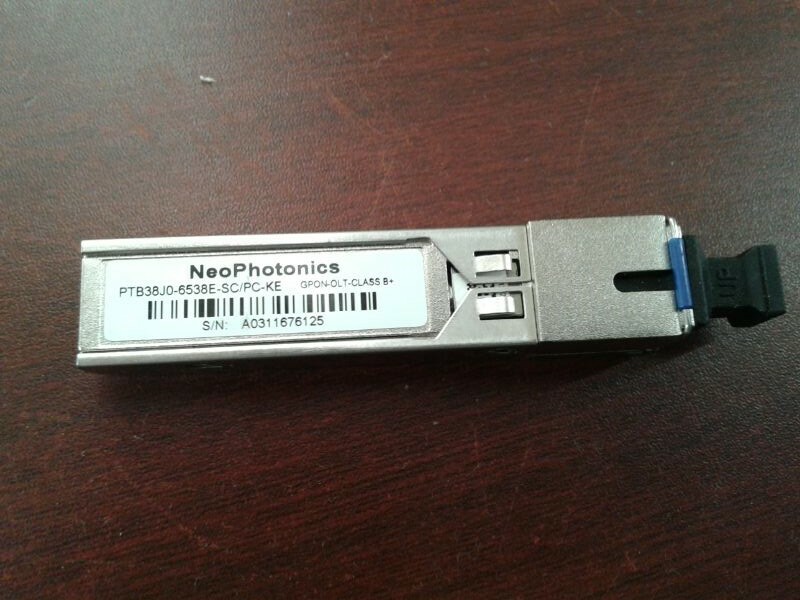 When we connect NeoPhotonics Class B+ SFP then it work fine. bellow are the both status.